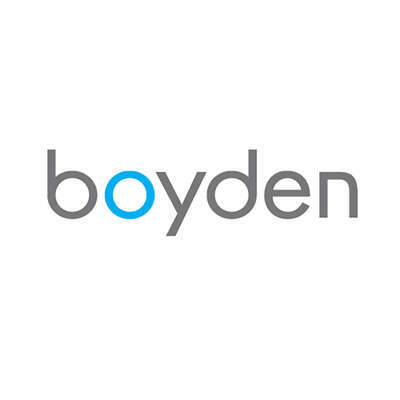 Boyden is pleased to share the appointment news of Dr. Robert Haché, who will assume the position on July 1, 2019. 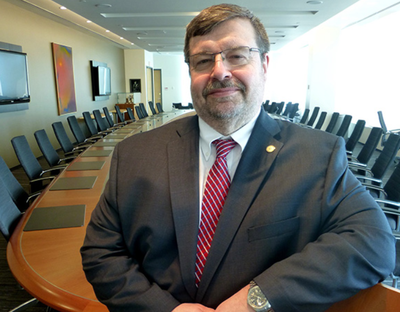 Friday, February 15, 2019 – The Laurentian University Board of Governors is pleased to announce the appointment of Dr. Robert Haché as the University’s 11th president and vice-chancellor. He will assume the position on July 1, 2019, for a five-year renewable term, succeeding Dr. Pierre Zundel who has been serving in this capacity on an interim basis since August 2017. Current vice-president of Research and Innovation at York University, Dr. Haché has broad experience in leading university research and innovation activities. Prior to York, he served as associate vice-president of Research at the University of Calgary and vice-dean of Research for the Faculty of Medicine at the University of Ottawa, two U15 universities. Dr. Haché has been recognized by members of the Presidential Search/Selection Committee for his strong and collaborative leadership experience in the Canadian university sector, his successes leading strategic partnerships and initiatives, as well as his proven engagement toward student success. “The Board of Governors is very pleased to welcome Dr. Haché to Laurentian University. He is a strong visionary with a stellar track record in both academia and management. Under his leadership, Laurentian will be well positioned to build on its foundation of success over the last decade,” said Jennifer Witty, chair of the Laurentian University Board of Governors and Presidential Search/Selection Committee. “Dr. Haché brings a deep understanding of interdisciplinarity, the critical importance of the arts in post-secondary education, and building a culture of engagement, innovation and success in large collaborative projects and programs,” explained Ms. Witty. “In developing the culture of engagement at York, he has paid particular attention to inclusiveness and a focus on Indigenous ways of knowing. He is a strong supporter of the Laurentian University Native Education Council. The latest Strategic Research Plan he led included Indigenous futurities in its five key areas,” added Ms. Witty. Of Acadian background, Dr. Haché is fluently bilingual (English and French). He holds a BSc (Biochemistry) from McGill University and a Ph.D. (Biochemistry) from Queen’s University. Dr. Haché has 29 years of experience as an academic, including more than 20 years as an academic leader. As a molecular and cellular biologist and biochemist, Dr. Haché has received numerous research grants and awards from organizations, including the Canadian Institute for Health Research (CIHR), the National Cancer Institute of Canada (NCIC) and the National Science and Engineering Research Council (NSERC) for his research projects on steroid hormone action and DNA damaging agents. Dr. Haché has also served as a committee member and chair in various organizations, including the Ontario Council of University Research (OCUR). “I am excited to join Laurentian University as it emerges as a national leader. I cannot wait to begin working with students, colleagues and communities to build on Laurentian’s successes, to strengthen and to build new partnerships through academia and industry, and to lead the University to national and international recognition. I am committed to ensuring our students share in my excitement,” said Dr. Robert Haché. “Laurentian University’s 2018-2023 Strategic Plan is impressive. It is committed to strengthening the foundation of knowledge in higher education and research to offer an outstanding university experience in English and French with a comprehensive approach to Indigenous education. My priority will be to pursue this vision and engage all disciplines – from the arts to science, education, management, health and much more – in achieving our ambitions and developing our incredible potential together,” explained Dr. Haché. Dr. Haché joins the Laurentian team as the University continues to grow. The student population has increased over the last decades from 6,000 to over 8,500 students while the average entry grade continues to climb. Laurentian is home to the award-winning Northern Ontario School of Medicine and has led the province for seven of the last eight years with the highest post-graduation employment rates in Ontario. Further, Laurentian continues to develop strong partnerships with industries, communities and organizations. The Board of Governors wishes to recognize the outstanding contribution of Dr. Pierre Zundel. As interim president and vice-chancellor, he has provided excellent leadership and guidance for Laurentian University and will continue in this capacity with the Board’s full support until Dr. Haché’s appointment takes effect.